I love a good revenge story. It is a timeless classic, despite having been beaten like a dead horse by Hollywood for the last few decades. There’s nothing like inflicting ruin and damnation on those silly pretentious souls who have wronged you. The revenge of 'Dishonored' is perpetrated by Corvo Attano, the mute bodyguard of the Empress. The Empress is the leader of the Isles, a fictional country comprising four large islands and a series of smaller ones. The game takes place in the capital city of Dunwall on the island of Gristol, where recent events have created a nearly apocalyptic state. A virulent and intractable disease called the Rat Plague has wiped out half of the city’s population. Poverty, depression, and gang violence have taken its toll on the other half. 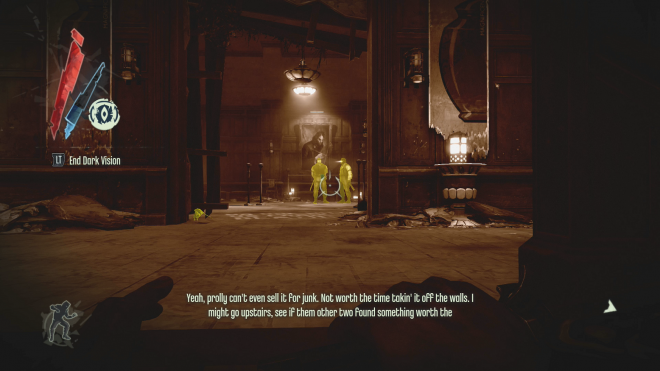 Times are so tough that the crown is sending out bodyguards as diplomats to panhandle for foreign aid, and as the game begins, Corvo is returning to Dunwall after several months abroad. Corvo barely has time to step off the boat before the Empress is assassinated and her young daughter Emily is kidnapped in front of his eyes, and the scheming royal spymaster quickly frames him for the terrible crimes. Captured and sentenced to death, he languishes in prison for six months before a loyalist conspiracy unleashes him upon the corrupt government that has taken hold since the Empress’ death. Now known as the masked felon because of the skeletal, clockwork visage he dons, Corvo’s main goals are to rescue Emily and dissolve the spymaster’s regime. 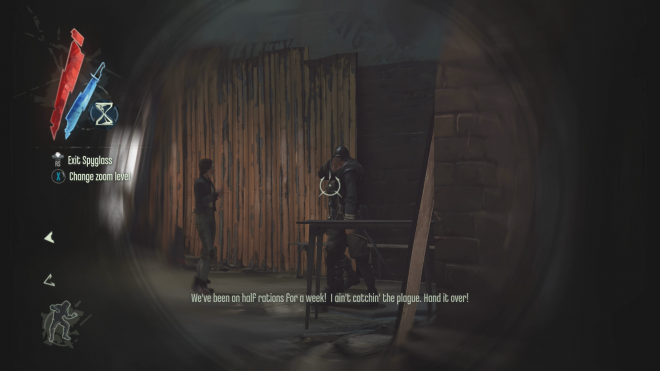 Each mission has Corvo hunting down a particular member of the spymaster’s inner circle. To reach his target, he can employ stealth, violence, gadgets, and supernatural powers, the latter of which was recently gifted to him by a forgotten deity known as the Outsider. The missions have an open map, and not unlike early 'Hitman' games, I was free to search for different methods of disposing of my targets. Instead of taking to the streets and using brute force, I stuck to the shadows and rooftops, teleporting around some sentries and disposing of others when necessary. I had a habit of leaving civilians alone, only knocking them out when they threatened my mission. Everyone else, however, could expect a knife in their throat - the city watch, gangsters, militant monks, and even other assassins. Each assassination target offered a nonlethal method to dispose of them, but what’s the fun in that? These people successfully murdered a monarch and took control of the country. There is no need for mercy. 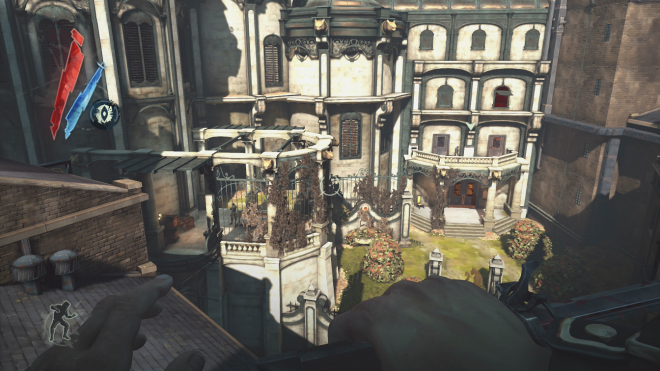 'Dishonored' is a very empowering experience, even on the higher difficulty settings. Corvo’s powers start out small, like the short teleport and seeing through walls, but he can eventually do crazy things like possess other people, summon packs of ravenous rats, and even stop time. His gadgets help with all playthroughs - there is a pistol, grenades, and explosive crossbow bolts for those less interested in stealth, sleepy crossbow bolts for nonlethal playthroughs, etc. My behavior in each mission influences Dunwall as the story progresses. Fewer kills means less rats, while murdering everyone leads to a very dark city. I find the rats to be very useful, as they are quite happy to dispose of any bodies in their path. The original 'Dishonored' looked pretty good on last-gen, and while some of the textures have been tweaked (faces and clothes are noticeably better, for instance) this is not an opulent do-over in the vein of 'Gears of War: Ultimate Edition'. The framerate remains at 30fps, and the load times are tiresome. The art design is no slouch - Dunwall is a pastiche of steampunk, Edgar Allan Poe, and watercolor. The game’s score is terse and operatic, full of frenetic violins that screech whenever Corvo is detected. The voice acting is excellent and features the likes of Lena Headey, Chloë Grace Moretz, and Michael Madsen, who is particularly excellent at playing the remorseful, conflicted Daud. The 'Definitive Edition' contains all of the DLC, including small content packs like extra bone charms, gameplay challenges in the 'Dunwall City Trials', and the more expansive Daud two-piece campaign. 'The Knife of Dunwall' and 'Brigmore Witches' pieces are among the better story-based expansions of last gen, as Daud is much more fascinating than the expressionless Corvo. Daud has a few different powers, but much like the base game, he is free to explore the levels and deal with adversaries as he sees fit. His storyline has him investigating the name "Delilah", given to him by the Outsider after Daud assassinated the Empress. Much of the campaign takes place during the six month period of Corvo’s incarceration. 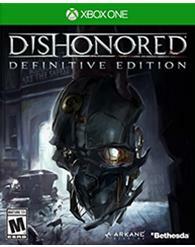 'Dishonored' has received a minimal amount of dress-up for this re-release. In 'Dishonored Definitive Edition,' the main game is all here with its DLC and a light visual touch-up, and that's about it. The price is also high when compared against the last-gen (or PC) GOTY versions. Still, it was one of the most captivating games of last gen, and a must-own for any Xbox One owners who have not experienced it. For those who have, you’ll find little of interest here.